It was an honour and a pleasure to be part of this year’s Festival Pedras’14 organised by c.e.m – centro em movimento. The festival took place in Lisbon between June 30 and July 6. 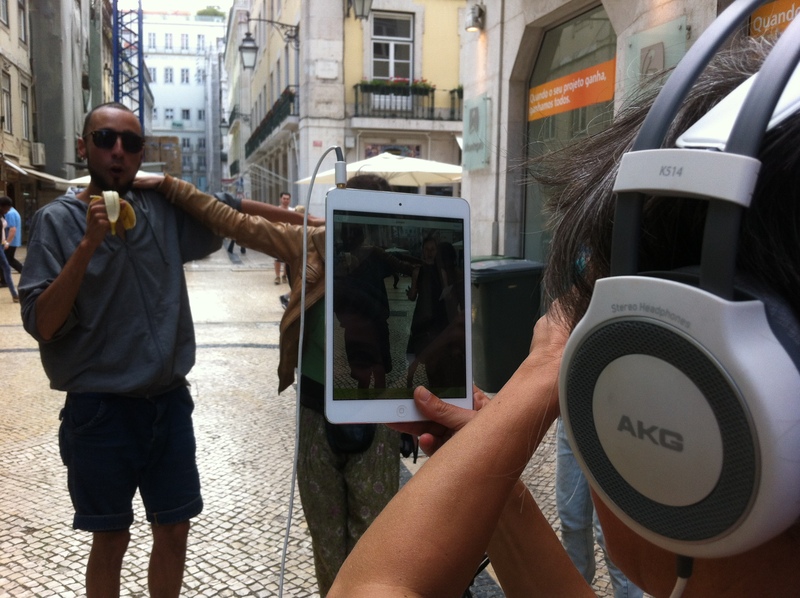 On Tuesday Museu da Crise presented an augmented reality video in the Baixa district in the heart of Lisbon. They day before the presentation we pasted a thousand stickers all over the area. 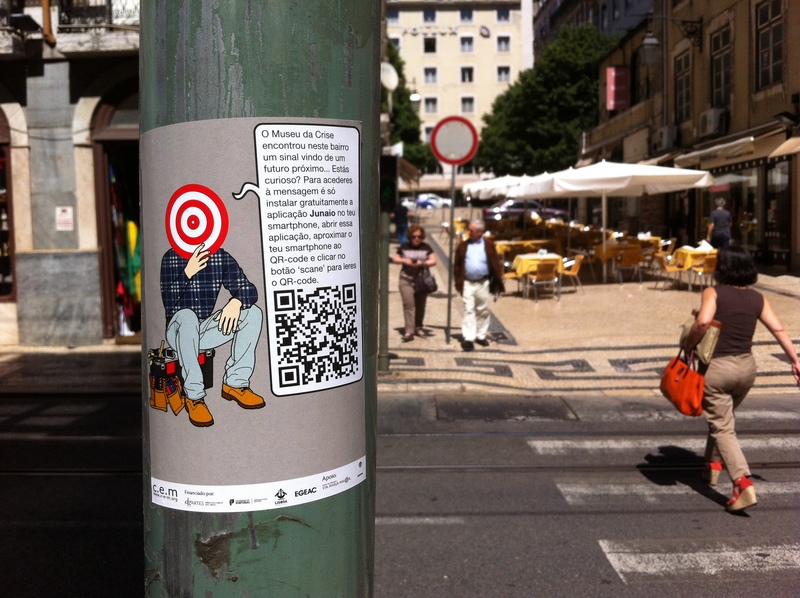 The stickers explained that people could download the free augmented reality browser Junaio and use it to scan the QR-code also on the sticker. 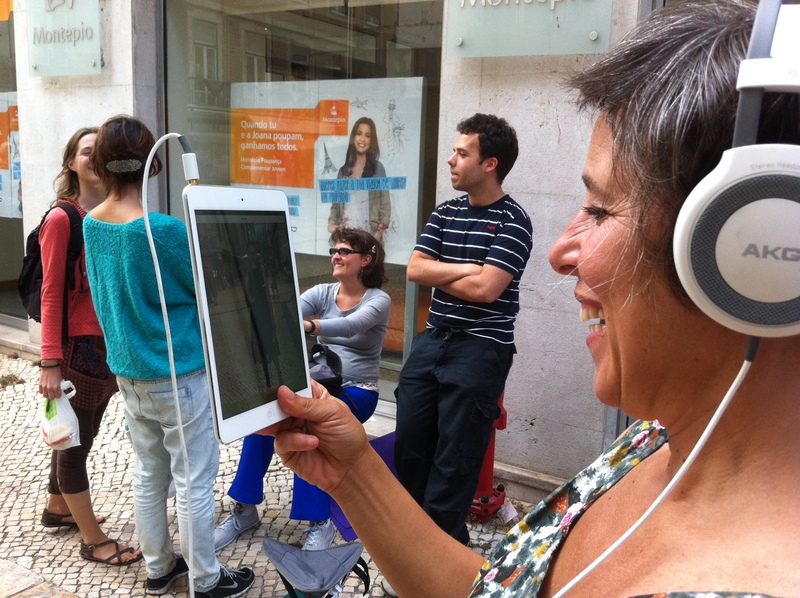 This then would access a small transparent video overlaying the streets of Baixa Lisboeta. The video is a message from a possible future, urging the audience to take action and to reorganise society in a more sustainable, inclusive and resilient way. The stickers will of course disappear over time, making this experience confined by time and space. Saturday we screened the film we made during our participation in the Lisbon Architecture Triennial. The wonderful people from MOB, a self-organised, open space for the community that organises diverse events, hosted this event. After the screening there was time for discussion and the exchanging of ideas. We got some feedback that will help us further develop Museu da Crise.